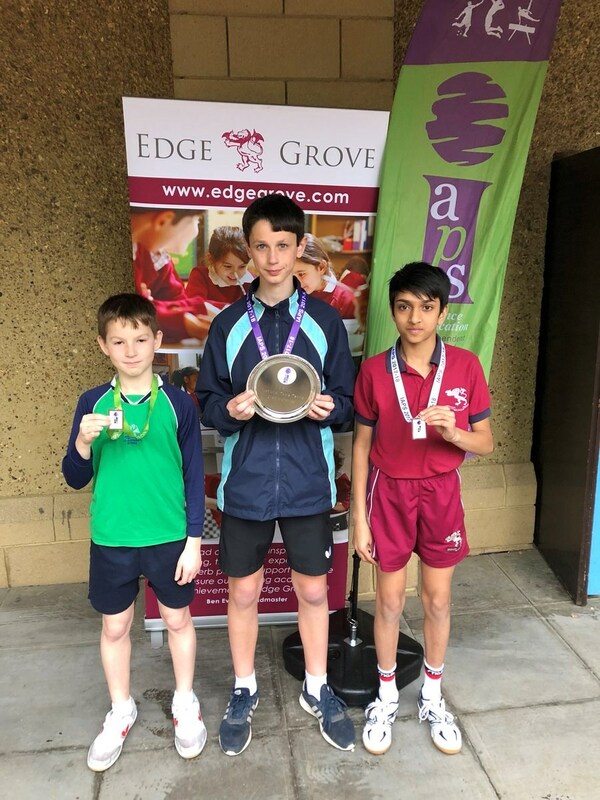 The winners' podium for Under 13 Boys at the National IAPS Championships, held on Saturday, 28th April at Edge Grove School. There were 127 competitors in two age categories, a record number. Todd, wearing the colours of his school, Abingdon Prep, had won the Under 11s in 2017, but found it hard going this time, going a game down in the final to Thomas Palmer (Middlesex), winning the 2nd 11-3, then trailing 0-4 in the decider before coming home 11-9.